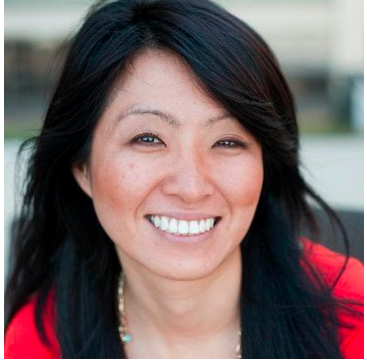 Discover the subtle signals that reveal when to reach out to a B2B buyer on LinkedIn. 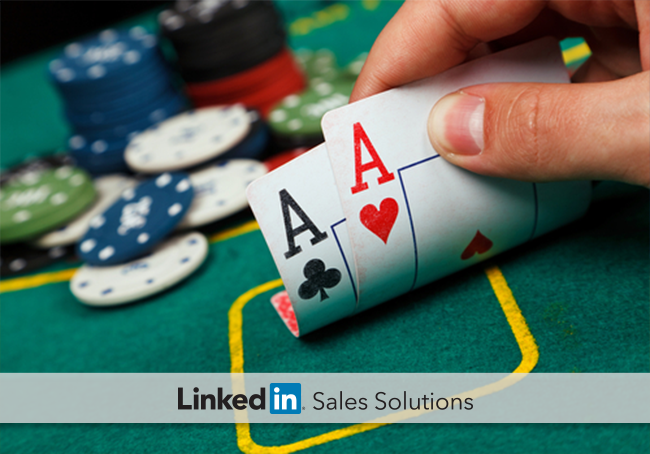 Four social selling strategies inspired by professional poker players. A professional poker player misses nothing. Posture, clothing choices, speech patterns, and muscle tension all give clues to an opposing player’s playing style and strength of a hand. Like poker players, today’s B2B buyers like to hold their cards close to the vest. Often, sales professionals find out buyers are looking after they have completed a large majority of the process and already have a specific solution or vendor in mind. The odds are stacked heavily against those arriving late to the game. When sales professionals can connect early in the buying cycle, however, they can add value at the outset and help to establish the criteria a buyer will use to evaluate solution providers. When you consider the advantages of early access, it’s easy to see why half of all buyers ultimately decide to purchase from the first salesperson to contact them. To increase your social selling success by connecting with buyers earlier, mimic professional poker players by looking for the subtle signals your buyers do not even know they project. When starting the buying process, 57% of B2B buyers browse existing discussions on social media to learn more about the topic. Many sellers eagerly watch for their prospects to post questions, and then swoop in. Savvy buyers know this and often conceal their search for information. To detect when a prospect is researching a solution, watch your Daily Update email from LinkedIn Sales Navigator to examine social activity. If a prospect answers a question in a LinkedIn Group or posts a comment under a post on the LinkedIn publishing platform, take a look at what prompted their response. If it is about solving a challenge related to what you sell, there is a good chance the prospect is in the information-gathering stage of their buying cycle. This is a good time to become a valuable resource. When Demand Gen Report surveyed B2B buyers recently involved in a major purchase, they found that buyers now extensively research vendors before initiating contact. Take advantage of this “tell” by using “Who’s Viewed Your Profile?” to see which prospects are learning more about you. LinkedIn enables you to see if visitors arrived at your profile from a group, through a mutual connection, or by a Google search. This can give insight into what kind of research led a prospect to you. Broaden your awareness of viewer intent even further by sorting viewers by company. Since 45% of B2B purchase decisions involve four or more people, multiple visitors from the same company in a short period of time can be a clue that they are looking for solution providers. Many sales professionals already watch their Daily Update email to see when people in their network connect with potential prospects. After all, a referral from a common connection is much more likely to result in a sale. Watching for new connections can also be an excellent way to get insight into your prospects’ intentions. If you see a lead connect with a competitor, or with contacts at a business that complements yours, they might be in the market. By saving leads on LinkedIn, you can keep tabs on the new relationships your prospects are forming. You can expand your awareness even further by watching your competitors. If you see a prospect connect with a competitor, it may be a signal that they are buying. Executives in new positions have a natural desire to make their mark early, which explains why a newly hired decision maker is up to 10 times more likely to make a purchase than executives who have been on the job for a long time. By being proactive, you can get these insights in real time. Try creating an Advanced Search to identify employees with specific job titles at companies in your target market. You can also setup notifications and get “pinged” whenever new hires match your criteria. Social sellers who can read the unconscious “tells” to identify early-stage buyers can gain a major advantage over the competition. Strategically using LinkedIn to read the intentions of your prospects can give you the insight needed to reach out to the right prospects at the right time.